Candidates can download the admit cards at the official website of IBPS at ibps.in. New Delhi: IBPS has released admit card/ call letters for Officers main/ single exam. Candidates can download the same at the official website of IBPS at ibps.in. Preliminary exam result for officer scale 1 and office assistant post has already been declared. 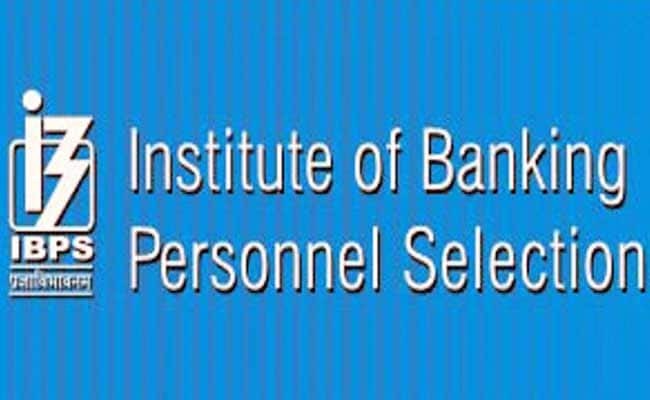 IBPS has released admit card for Officers Scale I and II, III separately for main exam and single exam respectively. Officer scale 1 exam is scheduled to be held on 5 November and for other posts, the single exam will be held on 12 November. Candidates can, however, the admit cards till 5 November. Therefore those candidates who will be appearing for the single level examination should not delay downloading the same. IBPS has also released information booklet for the candidates. 'Bring this call letter alongwith the photo identity proof in original and a photocopy with you when you come to the venue for the examination. Write your Roll No. & Registration No. on the photocopy of photo identity proof. You will not be permitted to appear for the examination if you do not bring the call letter alongwith the photo identity proof in original and a photocopy. You will be required to put your left thumb impression clearly and sign clearly in the respective spaces provided on your call letter in the presence of the invigilator in the examination hall. You should hand over your call letter alongwith the photocopy of the photo identity proof duly stapled together to the invigilator in the examination hall, when he collects the call letters from the candidates,' reads the update.